A heart-breaking video on Twitter, of a tearful farmer destroying his crop of pomegranate as he failed to get even a price of Rs10/kg, has got people across the country wanting to do their bit to help the farmer in distress. Moneylife Foundation decided to take it forward by verifying facts and finding out what happened and how the farmer can be helped. It only led to more discoveries about the plight of our farmers, and that of Bandu Markad, or Vasudev Babasaheb Marked, of Nivdunge village in Pathardi taluka of Ahmednagar district in Maharashtra. If you would like to help Bandu Markad after watching this video, please go to the end of this article for details. When we called Bandu Markad to understand the issues, he told us how he planted pomegranate on five acres of his farm and had tried hard to keep his 1,200 plants alive, despite acute water scarcity. The only way to do it is buy buying water through tankers. "Since June 2018, I have bought tanker water. One water tanker (around 6,000 litres) costs me about Rs500 and it would last for two days. But then there were no rains and the tanker owner refused to give me more water unless I clear his pending bill of about Rs70,000. Without water, pomegranates in my farm remained small in size and not up to the mark in quality." "Two days ago, I went to the market to sell my crop, traders were offering a fairly good rate for pomegranates. They bought pomegranate at about Rs800-900 per crate of 20kg. However, when I went on the third day, there were no buyers. Many other farmers had also come to sell their pomegranates. Due to excess supply and scarcity of traders, I failed to even get a rate of Rs10 per kilo. In frustration and out of desperation I threw pomegranates. While there was no income, I ended up paying the transportation charges from my own pocket to take the fruit to the market," he said. 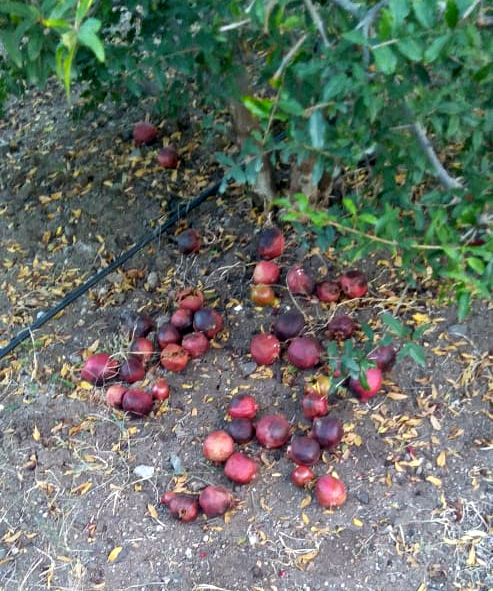 On Tuesday, Mr Markad and his brother decided to pluck out all the pomegranates remaining on the trees as they feel it will help the trees to survive. However, he still has to pay the water tanker supplier. Farmers in this area have their own arrangement with water suppliers which is fairly draconian. "If I do not pay to the water tanker supplier this year, then for the next one year, he will use my farmland to grow his own crops. However, I still have pomegranate trees there; it is important for me to pay his money. Otherwise, I will have no other option left but to take an extreme step." Apart from the urgent need to pay Rs70,000 or so to the water tanker supplier, Bandu Markad has a debt of Rs1.45 lakh from the credit society affiliated with Ahmednagar District Central Co-operative Bank. This loan, he says, needs to be repaid before March next year. "Only after repaying the loan, we may get a new loan for next year. Else, I will end up paying Rs10,000 to Rs12,000 only as interest," he says. He also needs funds to ensure a decent crop next year, or the distress continues. We also spoke to Sharad Markad, Pathardi taluka president of Swabhimani Shetkari Sangathana, the largest union of farmers in Maharashtra, to understand the situation in that region. He told us that several farmers in Pathardi taluka alone are facing acute distress due to water scarcity and very low rainfall. "Bandu is a very simple and straightforward person and does not even know how to shift his position in order to survive. He planted pomegranate and continued to take its care hoping to get good outcome. Even when there were no rains, he bought water by tankers for his crop. Unfortunately, due to the water scarcity and dwindling funds, he could not continue for more time and ended up in this destressed condition. Today, his entire family is in a very bad shape," he says. 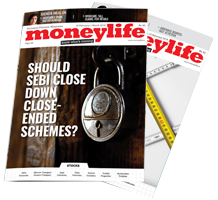 Moneylife also spoke with Sayantan Bera, a journalist who reports from that region. He had verified and posted the video of Bandu Markad on social media. Here is what Mr Bera told us: “The problem here is more structural in nature. Farmers often have no other place to sell their produce but at the nearest mandi where a cartel of traders decides the price without any relation to costs. Even if a group of farmers bring their produce to say, Mumbai they have to go to the mandi there to sell where prices will be decided on the basis of daily arrivals (supply). The problem is compounded by the fact that the government does not announce any support price for perishables like anar, so there is hardly any benchmarks and prices fluctuate wildly for crops like tomato, onions and cauliflower. The way out is better marketing avenues (easier said than done), setting up processing facilities close to the farm gate and some form of market intelligence services so that farmers do not overproduce. In this particular case, the farmers had to spend lakhs of rupees just to save their pomegranate crop by using hired water tankers due to lack of rains, which also shows the failure of much publicised programmes like Jalyukt Shivar. Helping to build a pond and ensure some stability of income for farmers like Bandu is imperative, but that is in the future—today, the looking issue is to get at least Rs70,000 or ideally a little over Rs2 lakh just to keep going and look for other options. UPDATE: Bandu Markad, the farmer, has received sufficient funds in his bank account. Therefore we have removed his bank account details. Can I buy 100 Kgs ? Done my bit. But, can we get a confirmation that the amounts received by the farmer and if he is out of trouble now? farmers are not limited to mandi's to sell their produce and especially for pomo. there are many traders that do farmgate sourcing, also private players have collection centres. so have to question bera why is peddling this still? market intelligence is there somewhat, a simple whatsapp gets you prices and bera saying that will help farmers not to overproduce obviously didnt help in this case. this is not an overnight crop. please dont make farmers so naive and stupid, these guys are pomo farmers and these farmers have more access and knowledge than not cotton farmers in some far away remote yavatmal. nagar is still 100 kms form pune. jalyukta shivar has done a phenomenal job. just because this farmer did not avail of it, don't trash it that its not worked. its not difficult to fill it and many vendors help you do it. if farmers are dependent on rains, then he is not going to very far with the vagaries of climate change happening more than ever before. farmers also have to adapt. that this guy didn't shows his issues, not everybody the finger he and the journalist bera are pointing at. so, are you are saying that the farmer could have got water from Jalyukt Shivar but he choose to buy water from the tanker??? 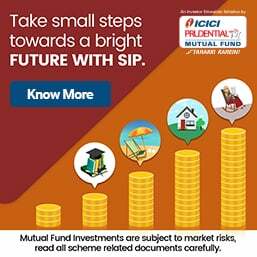 Moneylife should make a systematic plan to help farmers, like making a pool of fund and from that fund helping needy farmers. I agree. Make a Distress Fund, ask for contributions from well-meaning individuals and utilise it optimally on an ongoing basis in the fair judgment of a 2-3 member Distress Aid Committee. In a sharp break from the caution and inertia of his predecessors, President Donald Trump has slashed U.S. military aid to Pakistan and warned that Washington will take further punitive measures unless the Pakistani government acts decisively against Islamist terrorists. But while the Trump administration has freely vented its frustration with Islamabad, current and former officials said it has been slow to seek justice for the 2008 massacre of 166 people — six of them Americans — in Mumbai, India, by a terrorist group that has worked closely with Pakistan’s intelligence service. In 2011, federal prosecutors in Chicago indicted four Pakistanis, including a serving officer of the country’s powerful intelligence service, in connection with the Mumbai attacks. Yet after an initial flurry of effort by the Obama administration, the government has done little to press Pakistan to arrest those suspects or to condition U.S. support on progress in the hunt for the suspects, the officials said. d in planning or facilitating the attacks. Nonetheless, critics say the administration’s lack of effort and attention until now shows that the matter has not been a priority. Earlier this year, a multi-agency group of national security officials agreed to prepare financial sanctions against the Mumbai suspects to try to force action by the Pakistani government. But soon thereafter, the officials involved were reassigned to other tasks, including a State Department campaign of counterterrorism measures against Iran, several officials said. The Pakistani government’s support for the deadly Mumbai attacks was especially brazen, U.S. and Indian investigators say. A well-trained team of 10 militants, deployed by boat and directed by phone from Pakistan, slipped into the city and stormed a Jewish center, Chabad House, as well as two luxury hotels, a restaurant and a train station. The three-day rampage of shootings and bombings outraged India, Pakistan’s neighbor and nuclear-armed rival. The attacks exposed the Pakistani government’s patronage of and control over Lashkar, a militant group that has served as Islamabad’s proxy in the longtime conflict with India over the disputed border region of Kashmir.